LOL/OMG: Sneak preview of new Prince song! As we reported earlier in the week, Prince gave the Current an opportunity to play his new song "Cause and Effect" before anybody else. The song's official premiere is scheduled for Friday morning at 7am, but peeps from the Current have decided to give us a teensy sneak-listen to a snippet of the new song on their site today. 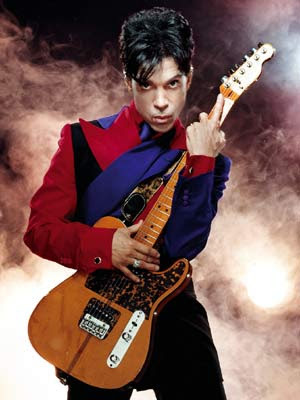 Prince can still jam on the guitar like no other!